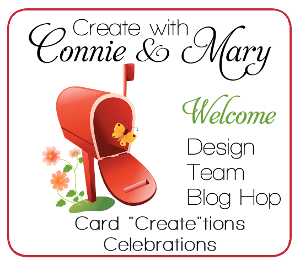 Welcome to the Create with Connie and Mary Card “Create”tions Celebrations Week 1 Design Team Blog Hop! We have had a FANTASTIC week of card sets for our subscribers and on Saturdays we change things up a bit…we each do a favor to match our card set AND we share these publicly! 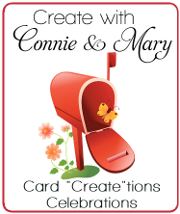 If you are going forward through the hop, you arrive here from the Create with Connie and Mary site. Even though it is the end of Week 1 NOW is the time to subscribe and get GREAT card set ideas for finishing up the catalog year! This week my card set used Sweet Stuff so I used this set for my little favor today! Isn’t this just the CUTEST? It is made using the French Fry Die. I had seen this on Brian King’s blog and he had a link to someone else’s blog that had a video on making this. 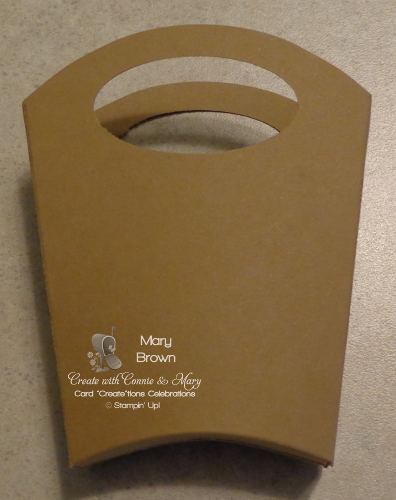 In that tutorial you needed to use a full sheet of cardstock to make the basket but I figured out a quicker and easier way to do it and I have a couple pictures to show you. Start with the French Fry Die and a 5 1/2 x 8 1/2 sheet of cardstock folded. Lay it on the ‘back’ portion of the French Fry die just cover the rounded top portion. The FOLD is along the bottom with the open end at the top. This is what you piece cut out. Next cut the oval in the top for the ‘handles’. This would be a good time to run through an embossing folder if that is what you want. 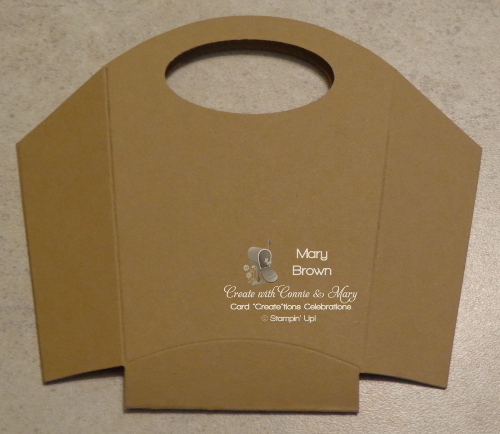 I left mine folded and did both sides at the same time…that’s why I picked the chevron…would look right front and back. 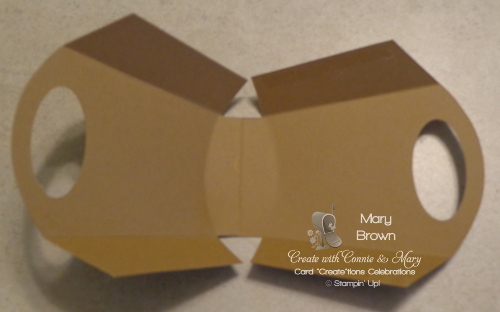 Fold along all the edges and put together at the sides. 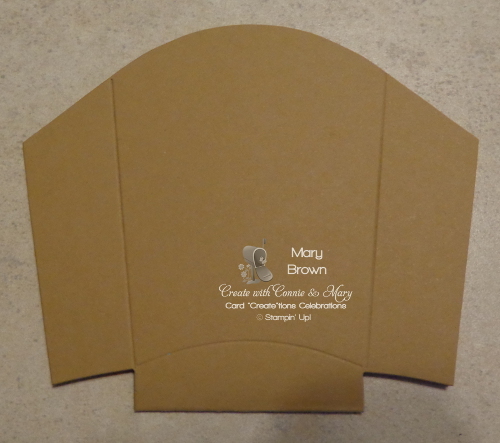 And there you have it…a quick and easy basket and the best part…you can get TWO out of each sheet of cardstock! When you have a lot to do…it’s nice to be able to maximize the use of your cardstock. 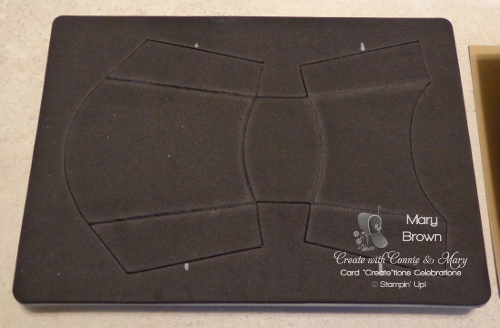 So Saffron – 5 1/2 x 8 1/2 folded. 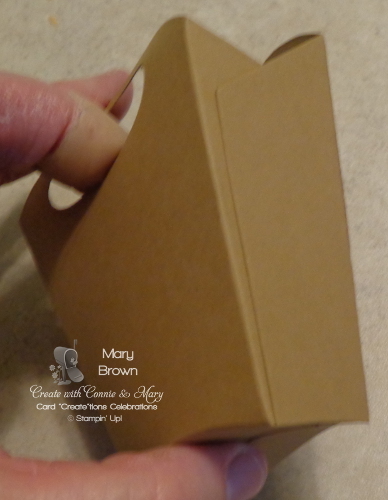 Cut out using the French Fry box using the tutorial above, punch out the handle, and run through the Chevron Embossing folder and put together as per the tutorial above. Wild Wasabi – 3/8 x 2, stamp greeting using StazOn Jet Black, color using Garden Green marker, cut into a banner and add to basket using dimensionals and glue dots. Stamp flower 3 times using StazOn Jet Black, color center of each flower using Daffodil Delight, cut our and add to basket. Wild Wasabi and White Cotton Twine – tie together into a bow and add using glue dots. Add Dazzling Details to center of each flower and on the words. featuring stamp sets in the Annual, Occasions and Online Catalogs,,,we have just finished up our first week and now is a GREAT time to join! 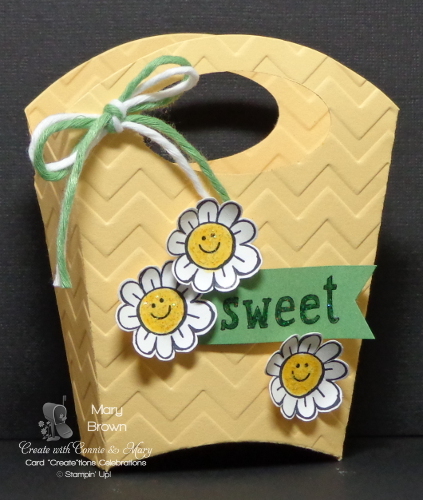 This entry was posted in 3D, Create with Connie and Mary and tagged Sweet Stuff. Bookmark the permalink. When I followed your directions my paper came apart at the fold lines for the side of the box, what did I do wrong? Not sure Mary. All Big Shot are slightly different and mine is one of the very original ones. Could be mine is just a little looser. Yes, that was the problem. 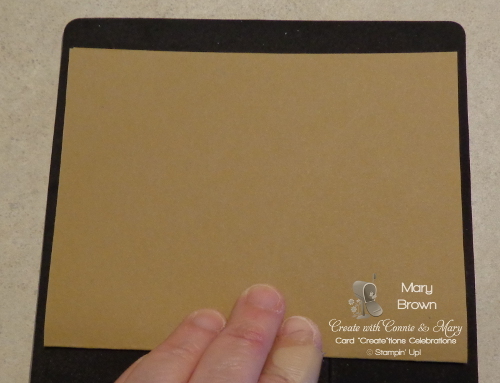 I used my crease pads and it worked fine!